Stonedust delivery. 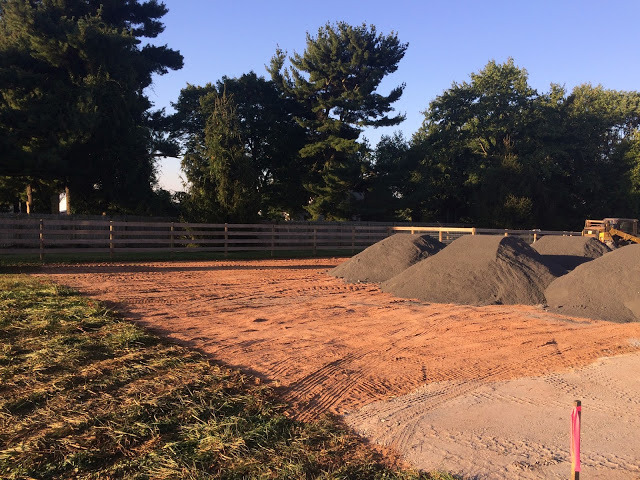 Rgt foreground: special compacted base for run-in shed pad. Copyright 2018, K&L Contracting, LLC. All Rights Reserved.